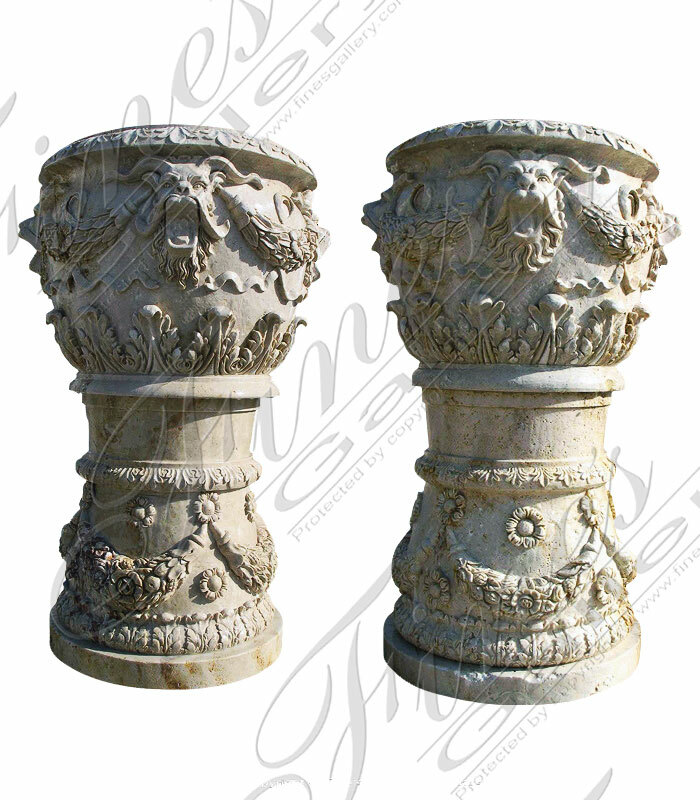 Classic Cream Limestone Planter Pair includes pedestals. 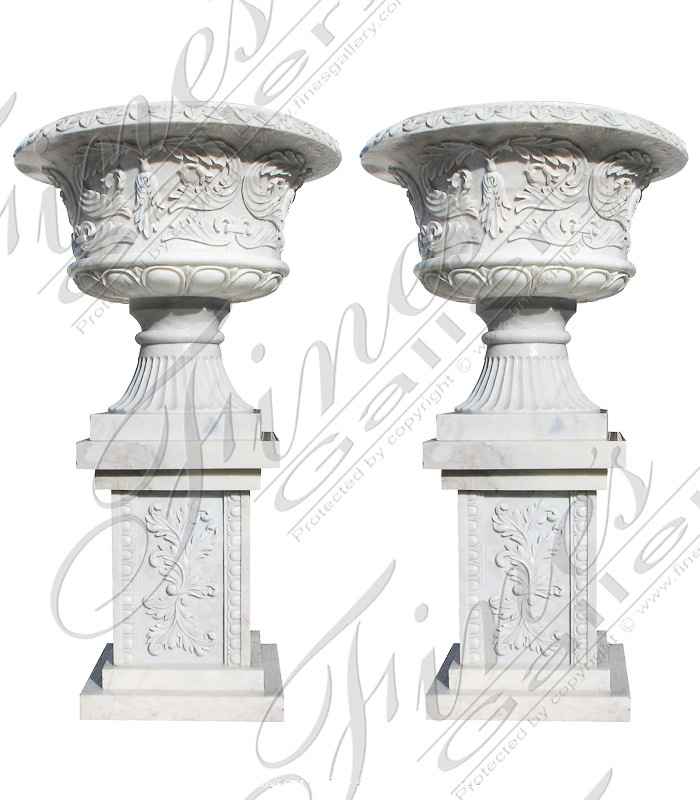 Ornate Luxury White Marble Planters carved from a light white marble with light gray veins. 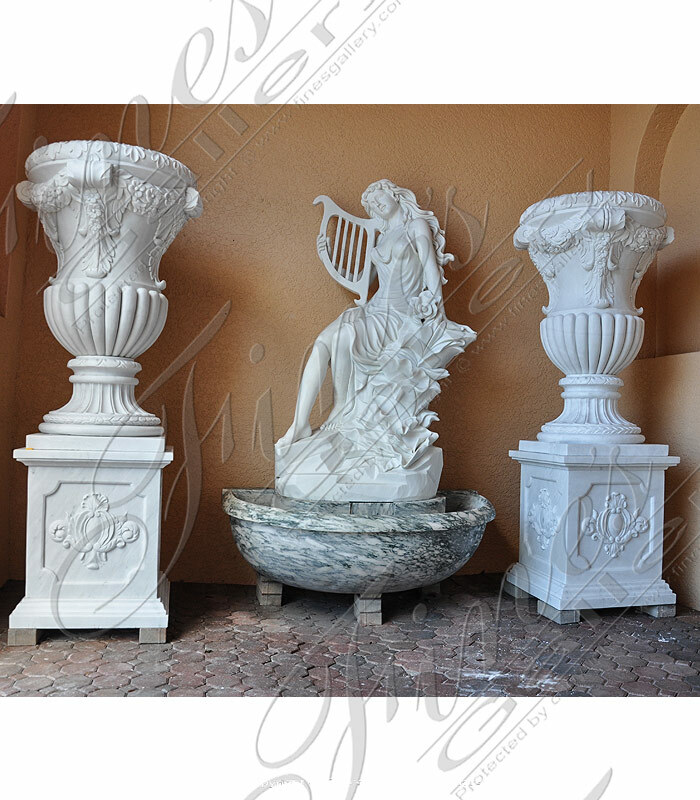 Included with luxurious marble pedestals. The Beautiful floral carving detail is very deep and rich. 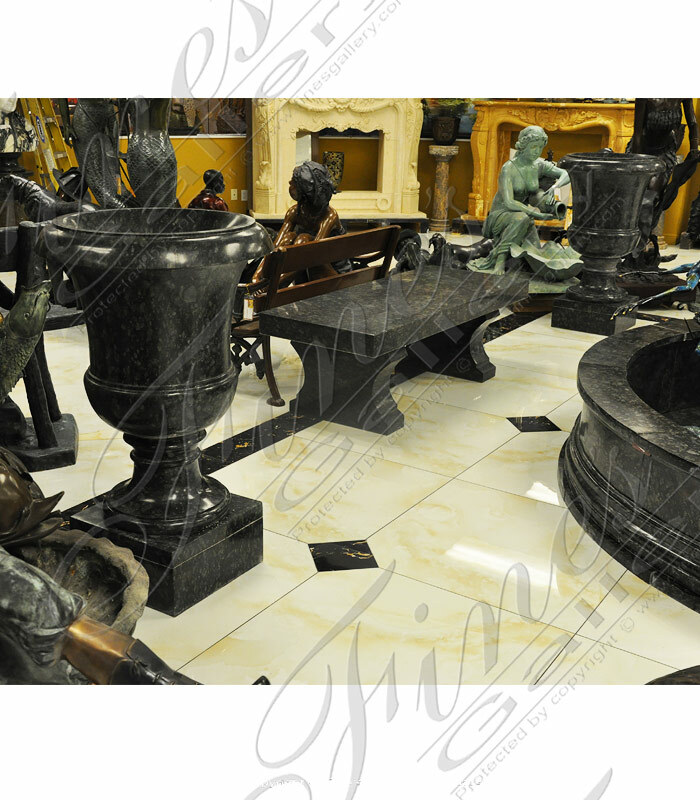 Available in marble, granite travertine and limestone. 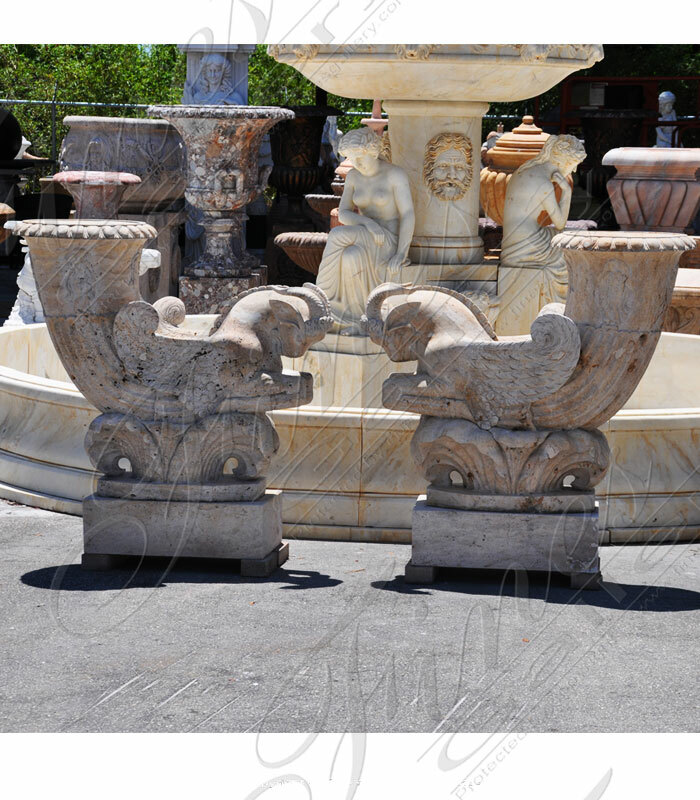 Mythical creature facesandlavish floral wreathsdecorate thesurface of this beautiful planter.The beauty of this planterwill instantly enhanceyour home or yard.Made from ourgenuine marble,afine accent. This is a gorgeous white marble planter for your home, inside or out! Made from our fine white Carrara marble, with lavish floral decor throughout, it shows off a luxurious display of beauty and elegance. Contact us today for personal sales assistance. 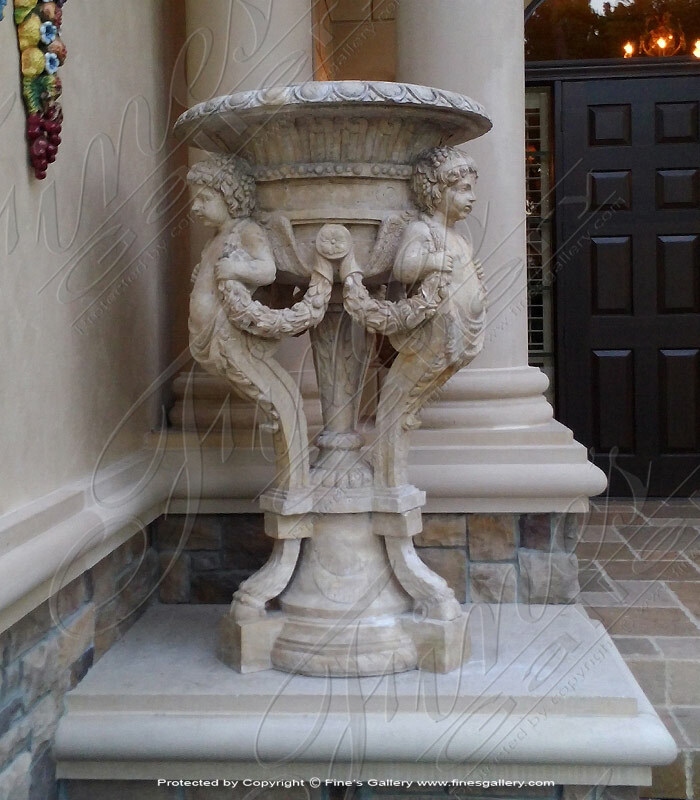 Beige Travertine Cherub Planter featuring meticulous detail throughout, showing their adorable faces, flower wreaths, and so much more. 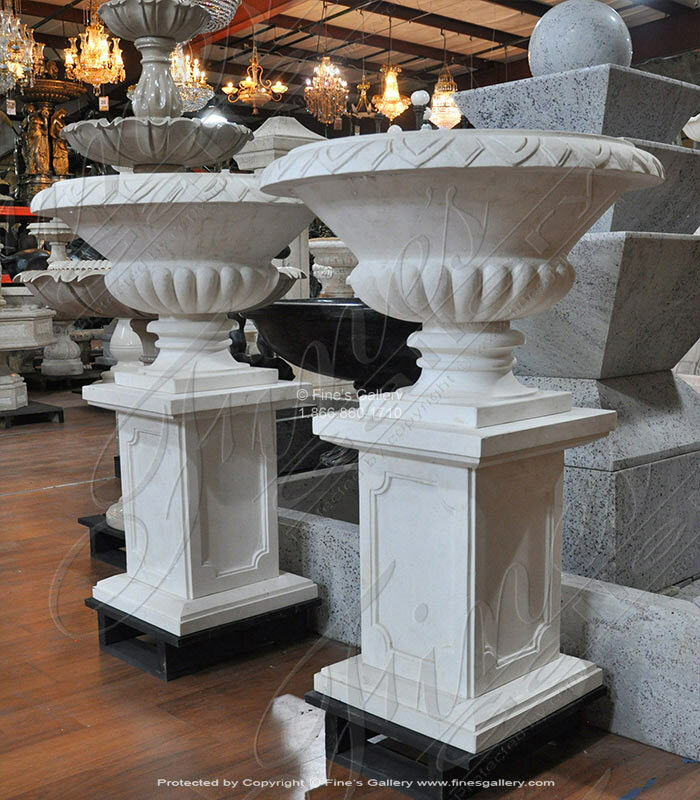 Available in white, cream, beige marble and granite. 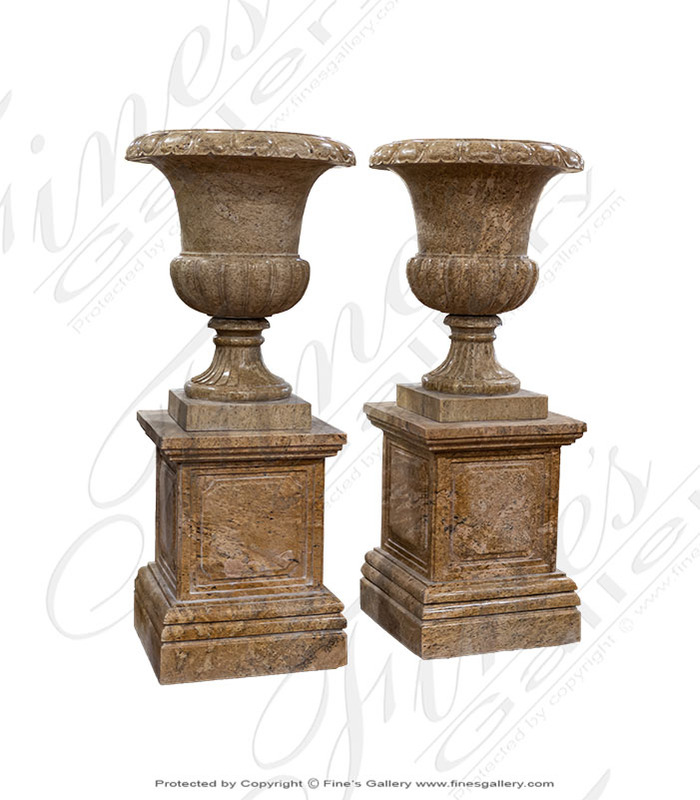 Solid Granite Urns & Pedestals. The description for this beautiful Marble Planter is not available at this time. If you require additional information for this product please call 1-866-860-1710 and talk with a sales representative at anytime. Priced Per piece. 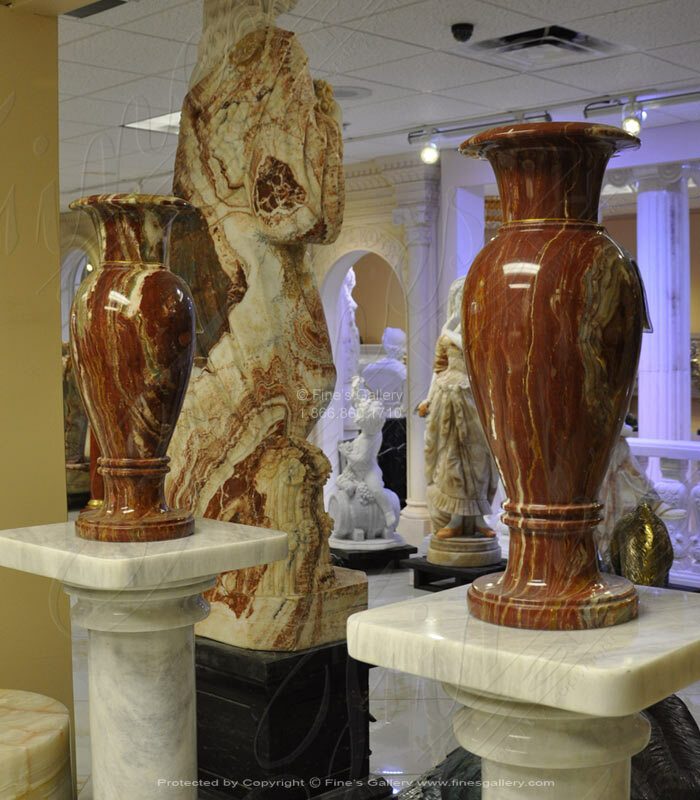 Rare and exotic red, green and white onyx urns. 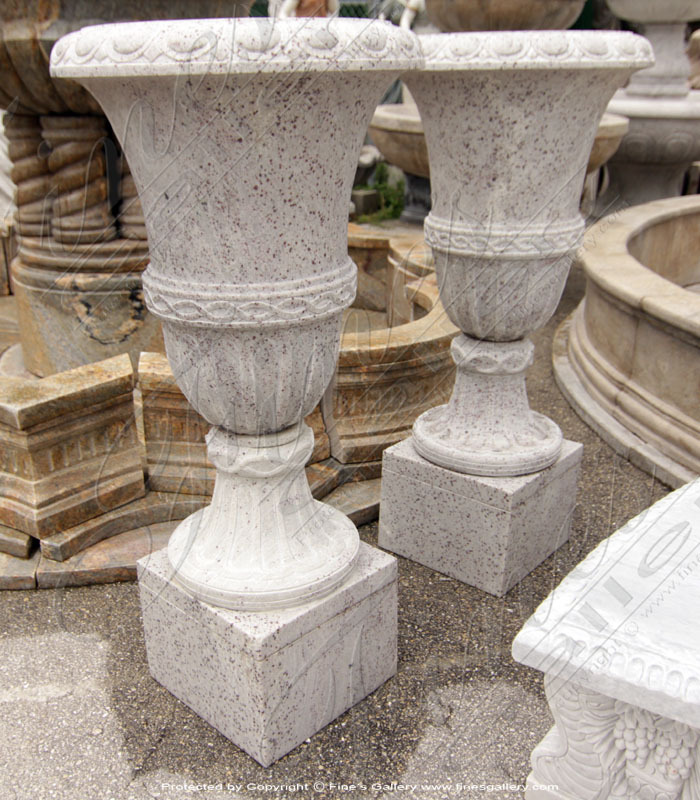 A stunning Kashmir White Granite Planter Pair. 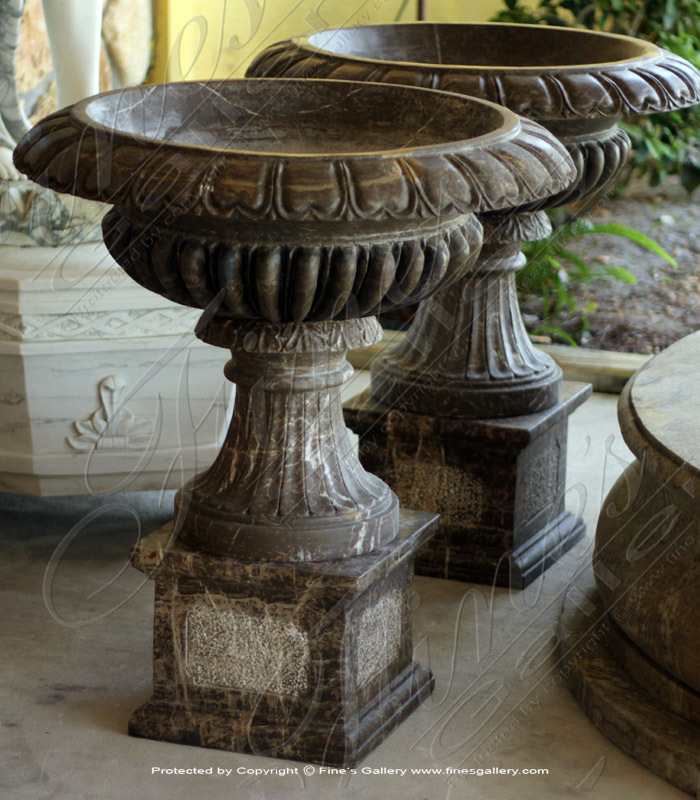 This black granite planter pair is carved from natural solid granite in a highly polished finish. 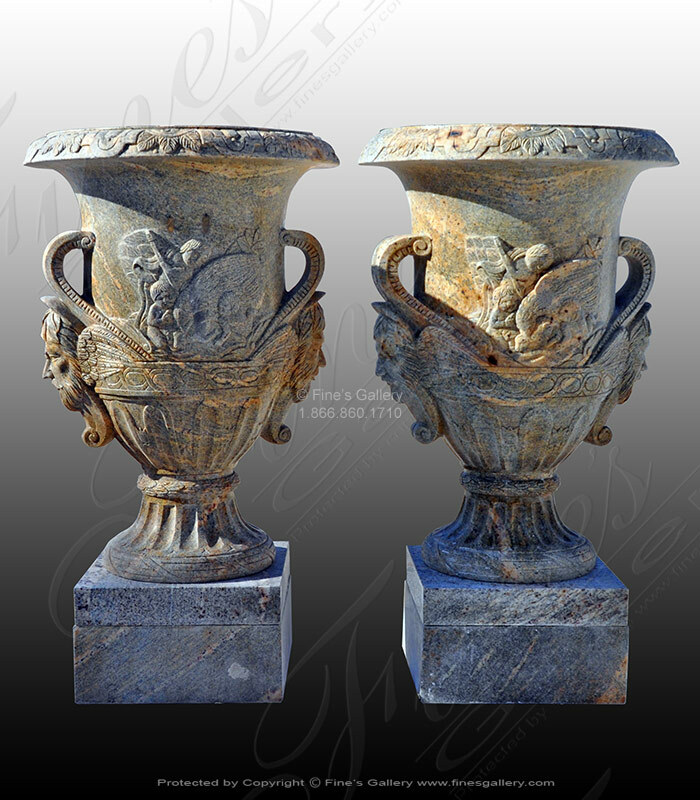 Beautiful all hand-sculpted granite planter pair. We can custom design these to your exact requirements. Choice of granite, sizes and design. Call us today. 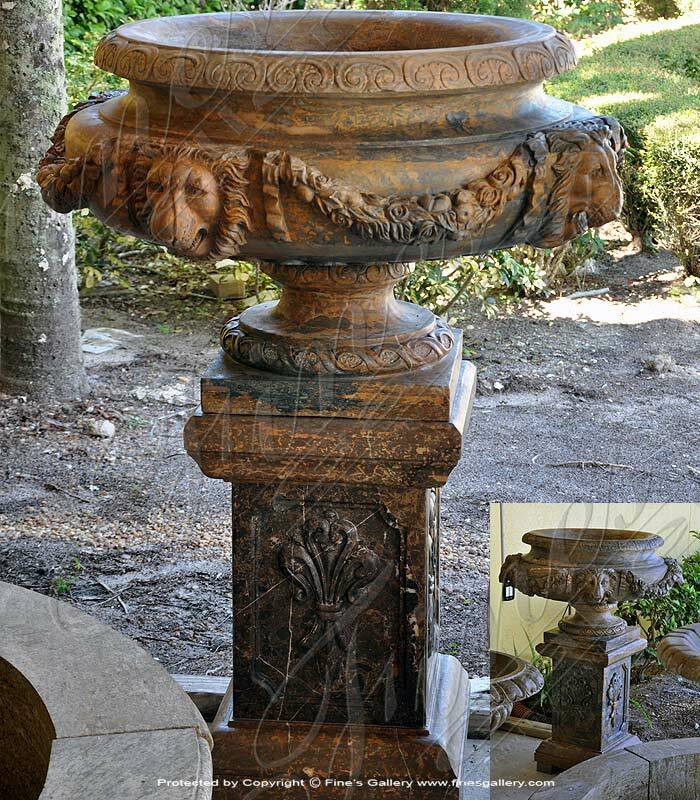 Extremely majestic, this rustic brown and gray toned marble planter is finely decorated with lavish floral wreaths and realistic lion faces. The large bowl can be filled with a generous amount of foliage. Sold Per Pair. 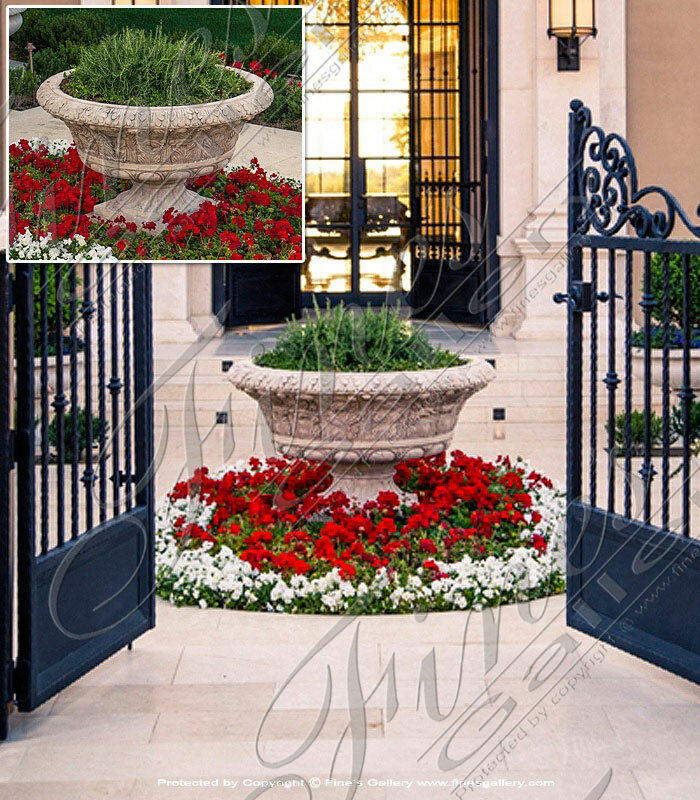 This beautiful planter gives your flowers a magnificent and sophisticated dwelling place. Ornately sculpted molding, an elegant design, and beautiful natural tones of fine marble make this a luxurious piece to own. Priced per pair. 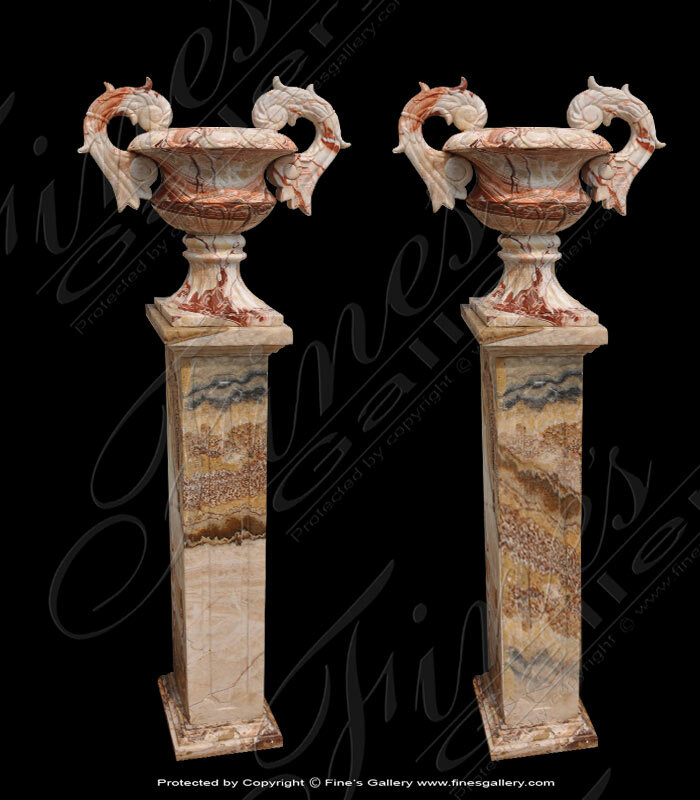 This beautiful pair of planters features winged ram statues that are finely hand carved from antique gold marble to hold flowers or plants. Long associated with gods and power, these majestic rams are magnificent in their mythical beauty. Sold as a Pair. 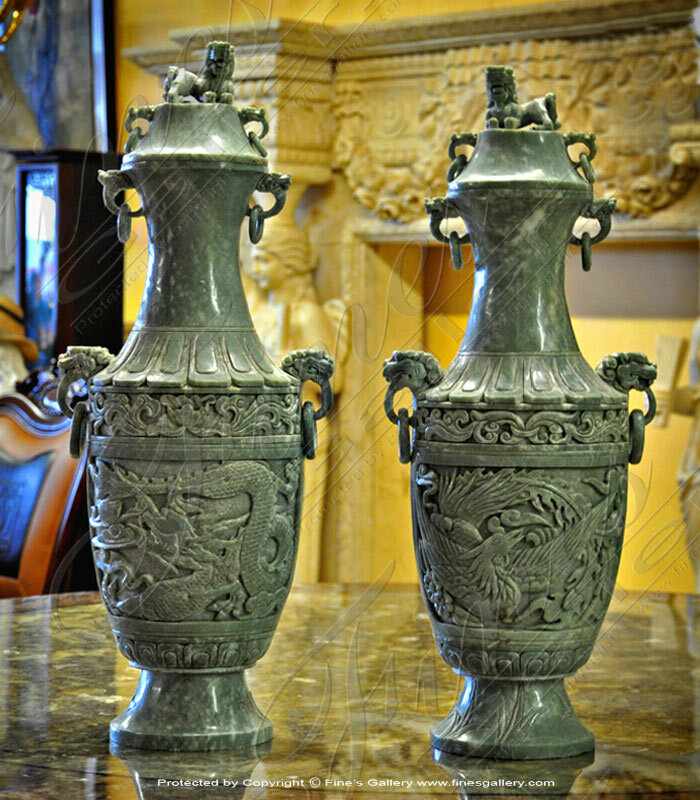 The description for this beautiful Jade Urns is not available at this time. If you require additional information for this product please call 1-866-860-1710 and talk with a sales representative at anytime.